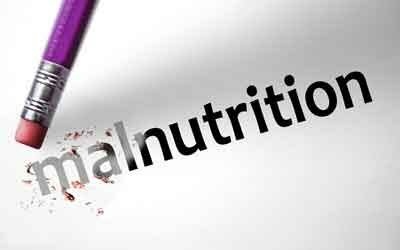 Even with a healthy diet, defects in the functioning of the immune system from birth could contribute to a malnourished state throughout life, a study says. “Our immune system doesn’t just fight infection; it affects metabolism, neurological function, and growth, which are things that are also impaired in malnutrition,” said lead author Claire Bourke, post doctoral research assistant at Queen Mary University of London. “That traditional image of malnutrition – of someone just wasting away – is just the external picture. On the extreme are those height and weight defects,” Bourke added. The study was published in the journal Trends in Immunology. Consumption of too few calories because of lack of food, an inability to absorb nutrients effectively, or an excess of fat and sugar in the diet can cause defects in immune system. A dysfunctional immune system can cause a whole range of pro-inflammatory conditions like impaired gut function, weakened responses to new infection as well as a high metabolic burden. Also, it can reduce the numbers of white blood cells, skin and gut membranes that are easier for pathogens to break through and malfunction the lymph nodes. These altered immune systems could be passed down from generation to generation regardless of the diet. It is because that dysfunction is recorded in the DNA through epigenetic marks. This altered immune system may then cause malnutrition even if children have an adequate diet, the researchers explained. The most common form of undernutrition globally is stunting — where children fail to achieve their full height potential. Targeting immune pathways could be a new approach to reduce the poor health and mortality caused by under- and over nutrition, the researchers suggested.